The FC-331 is a high-performance format converter for video signals up to 3G HD-SDI (Level A). 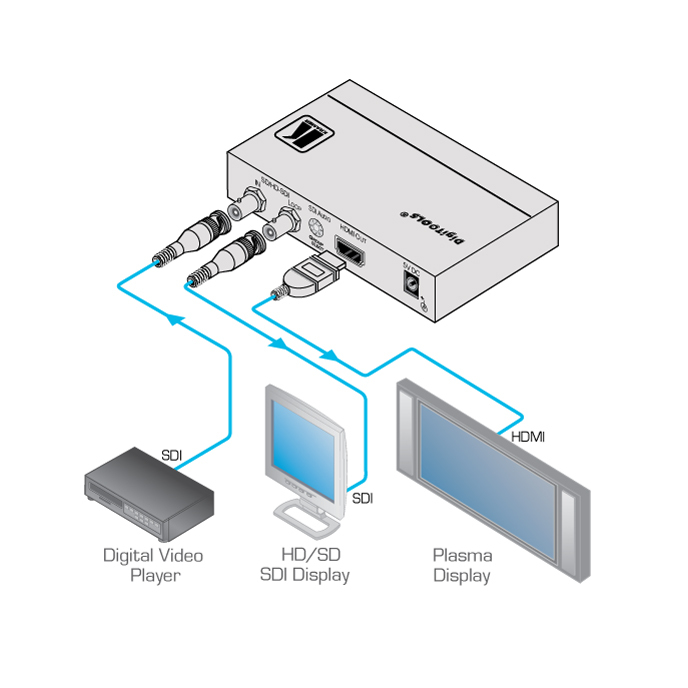 It converts the input video format (with embedded audio) to an HDMI output signal. The FC-331-MD is certified for medical applications. Certified for Medical Applications - According to IEC 60601-1-2 (Electromagnetic Compatibility), (FC-331-MD). Multi-Standard Operation - SDI (SMPTE 259M and SMPTE 344M), HD-SDI (SMPTE 292M) and 3G HD-SDI (SMPTE 424M).